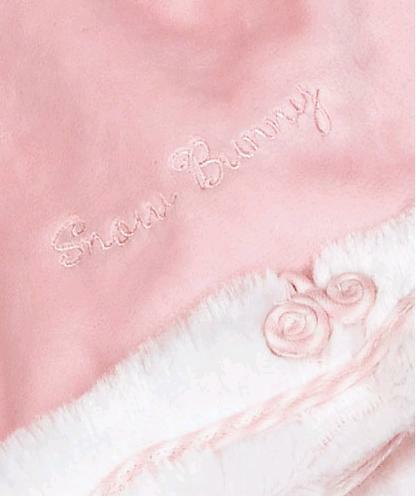 Design Notes: ¡§If you¡¦re hoppy and you know¡K let it snow!¡¨ & ¡§Snow Bunny¡¨ embroidery. 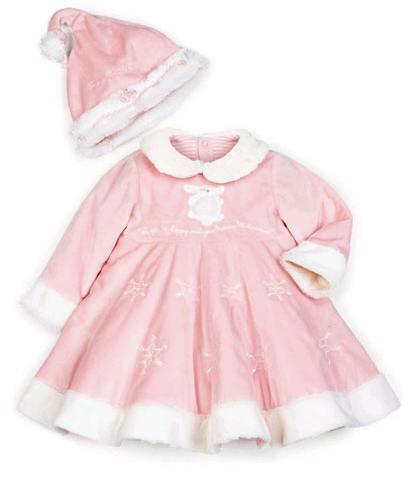 Baby girl will be sitting pretty in pink on Santa¡¦s lap, then twirling with the snowflakes in this adorable holiday outfit. Both the ¡§Snow¡¨ hat & dress are in rich velour with soft fur trim & pink stripe knit lining.